The mikromedia HMI breakout board is a simple accessory that conveniently enables developers to access pins from any of the 18 mikromedia HMI smart display boards. 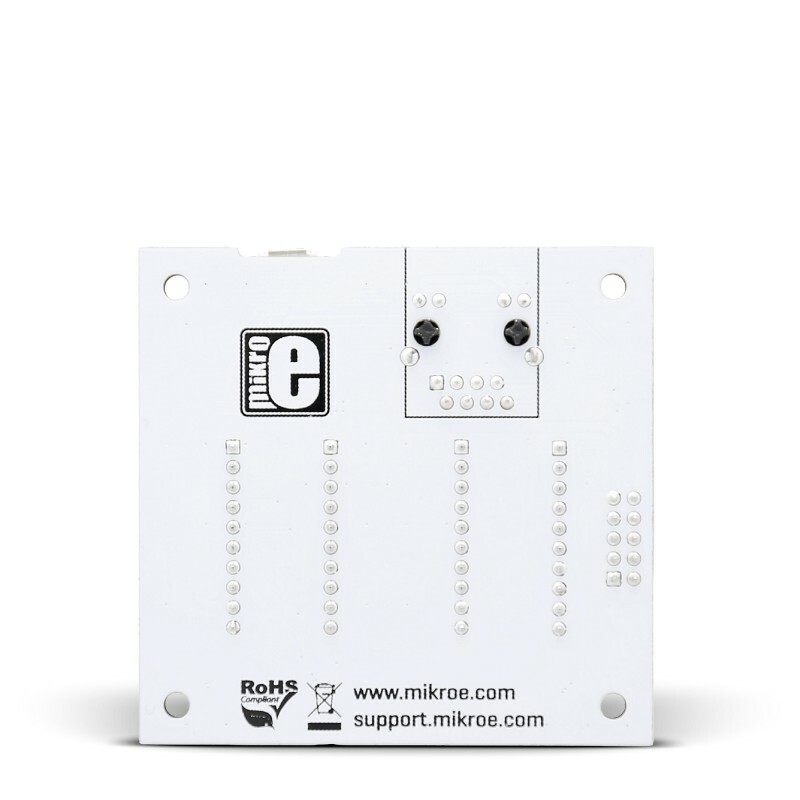 The mikromedia HMI breakout board is a simple accessory that conveniently enables developers to access pins from any of the 18 mikromedia HMI smart display boards. 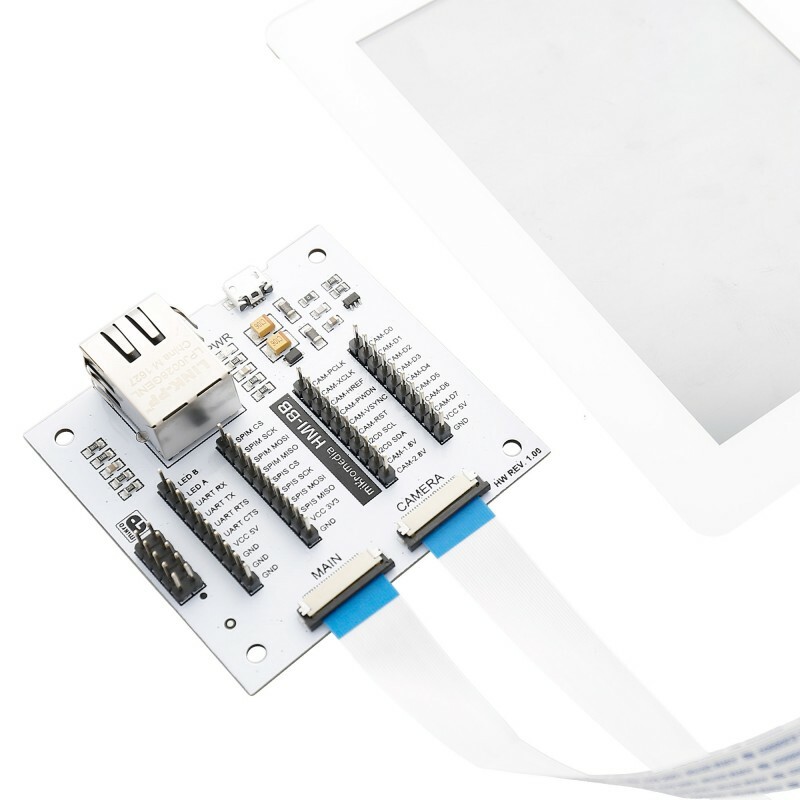 Each mikromedia HMI is powered by an FT900Q 32-bit MCU, and this board directly interfaces to it, which simplifies development in the prototyping phase (mikromedia HMI boards are intended for use as OEM parts). 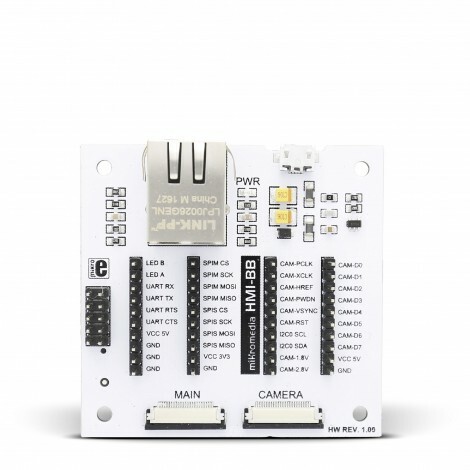 The breakout board also contains a micro USB port, an RJ-45 ethernet connector, as well as an external programmer connector (ideally used with mikroProg for FT90x). Two 24-pin flat cables are included in the packaging, enabling the use of both mikromedia HMI connectors at the same time (MAIN, CAMERA). Applications Breakout board for mikromedia HMI, to simplify the development process. Back in February of 2015, MikroElektronika started supporting a new architecture of microcontrollers - the FT90x from FTDI. Although new in this endeavour, the FT90 proved itself to be a worthy microcontroller, running on 100 mHz by default, it is one of the faster architectures out there.